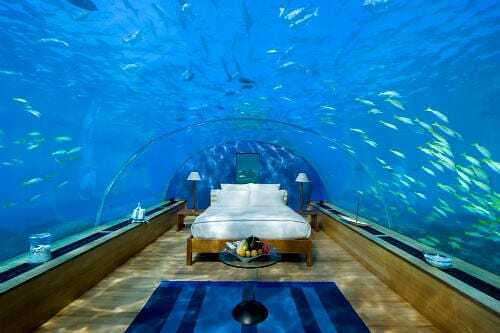 In case you’re looking for the perfect underwater luxury Honeymoon suite we may have a solution for you, the Conrad Maldives Rangali Island Hotel. Why is it so special? 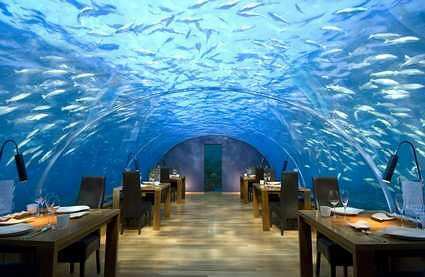 Well the hotel has a special underwater restaurant, which, for the right price, can become your very own, very private, immersed in water, honeymoon suite. 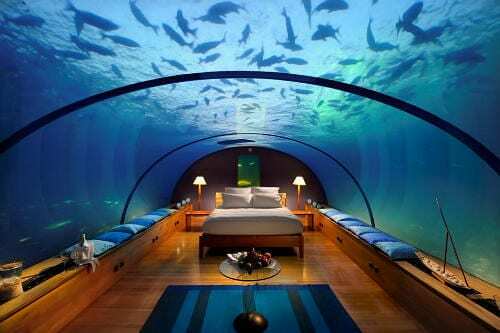 We’re looking at a room placed underwater, about 20 feet deep, which will let you go to sleep and wake up with the fishes. The room is encased in clear glass and while you’ll be able to admire the coral reef and its environment we’ll remind you that the fishes can spy on you too. Oh, and you may have to pay up to $15,000 per night to enjoy such privileges.